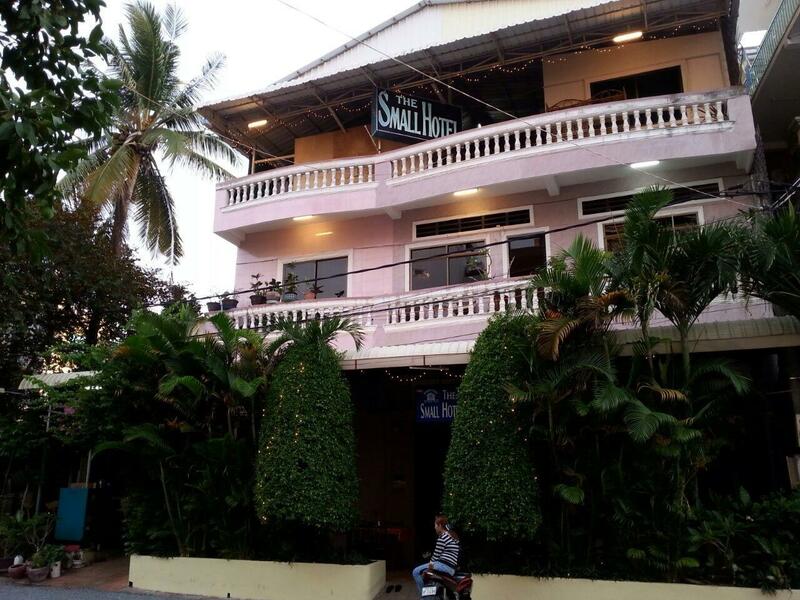 ﻿ The Small Hotel, Sihanoukville - SAVE ON AGODA! "The Small Hotel has a great restaurant and strong WiFi and w..."
Have a question for The Small Hotel? "Cheap price for local foods within walking distance near the hotel." "The food is great and rooms are comfortable and clean also away from the noise and bustle of the beach ." "Lovely hotel, very clean and the staff were amazing !!!" 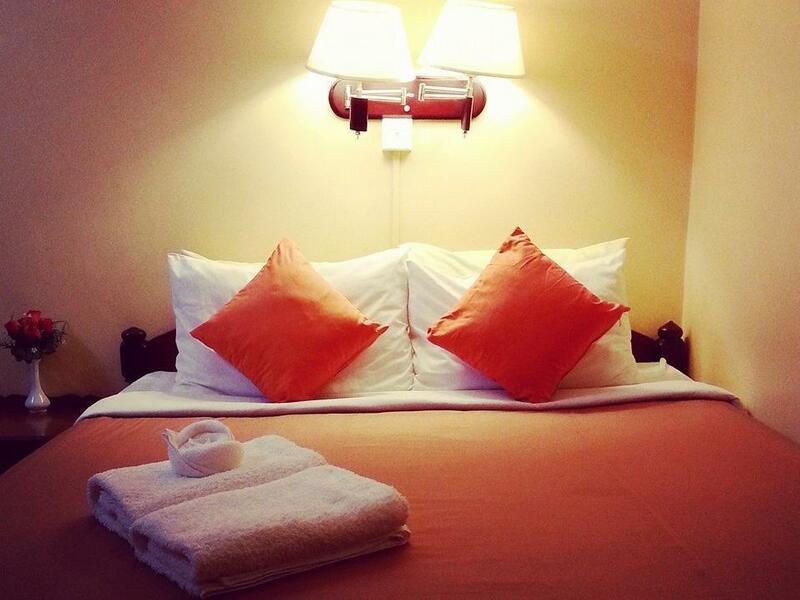 "Rooms are simple but cozy, good food and the staff are very..."
Well-positioned in Central, The Small Hotel is the ideal point of departure for your excursions in Sihanoukville. Set 0.1 km from the excitement of the city, this 2-star hotel commands an excellent location and provides access to the city's biggest attractions. Visitors to the hotel can take pleasure in touring the city's top attractions: EcoSea Dive, Diving and More, CJ Outlet and Jewelry Center. The Small Hotel offers impeccable service and all the essential amenities to invigorate travelers. The hotel provides free Wi-Fi in all rooms, luggage storage, Wi-Fi in public areas, car park, room service to ensure our guests the greatest comfort. The ambiance of The Small Hotel is reflected in every guestroom. television LCD/plasma screen, internet access – wireless, internet access – wireless (complimentary), non smoking rooms, air conditioning are just some of the facilities that can be found throughout the property. The complete list of recreational facilities is available at the hotel, including garden. 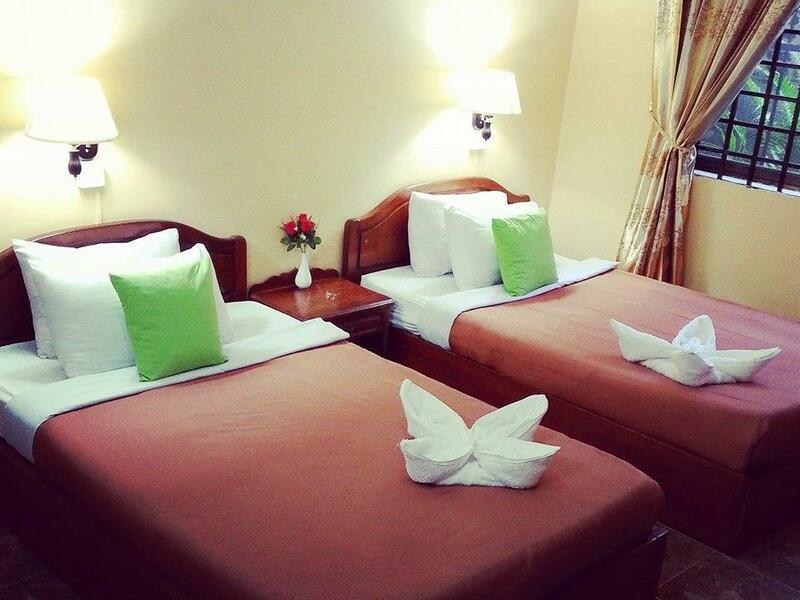 When you are looking for comfortable and convenient accommodations in Sihanoukville, make The Small Hotel your home away from home. "Clean room, friendly hosts and a traveler helpful staff;"
Shuttle bus from the bus station to the property is available. Kindly contact the property for more details. We already spend a night before come back stay again at this hotel. But this time the room give to us compare with our first night is smaller, but still very clean. The Khmer & Swedish food taste nicer than the restaurant Sandan we go. 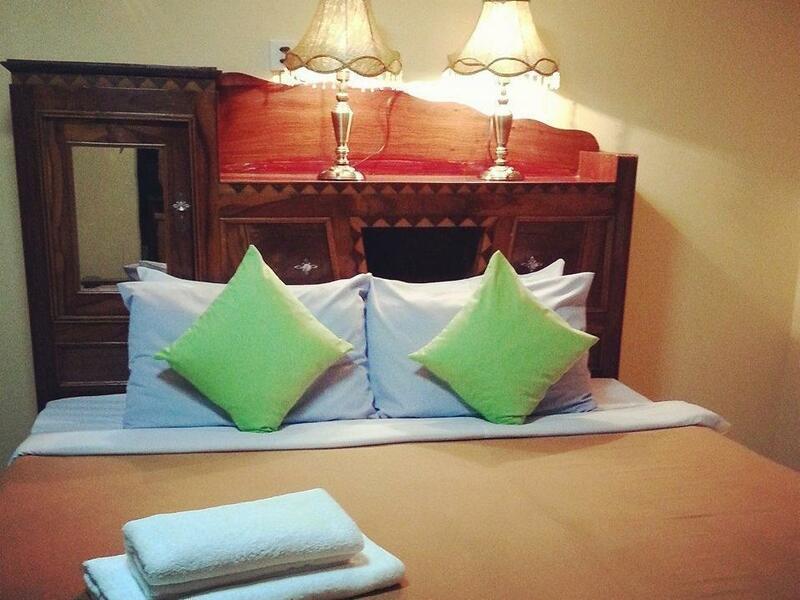 The most cleaner hotel we stay at Cambodia. The staff & the boss very helpful, they help us to call to railway station to book the train ticket to Kampot also help us arrange the Tuk-Tuk get ready at early morning 6.30am to Railway station. Considering what a dump the city center of Sihanoukville is, this place is an oasis. It’s super simple, with clean, basic facilities for under $30 USD... but that’s asking a lot for this city. The Small Hotel has a great restaurant and strong WiFi and was the perfect stopover for 1 night. The staff didn’t speak English very well, but they were super friendly and did their best to help us check out early and arrange a tuk-tuk to the train station. We would recommend! It’s nice to see some things haven’t changed in the chaotic urban sprawl that sihanoukville has transformed into the past few years. This Swedish run hotel has been under the same management for 16 years and the standards remain consistently high. It’s situated down a quiet street downtown, close to all amenities, markets and shops and a short tuk tuk ride to the beach. The hotel also has an in house restaurant that serves some of the best western/khymer food in town. Rooms are cleaned daily, toiletries are supplied and they offer a superb next day laundry service. The staff are great and they did a great service extending my tourist visa for me. We stayed two nights and everything was perfect. The room is big, with AC and fan. Nice bathroom. Everything clean. The staff is very friendly and they speak very good english. The restaurant has a huge variety of food (half Cambodjan half Swedish). They also rent us a motocycle for a cheap price and we could bought a ticket for the islands. I would highly recommend this place! We enjoy a lot our stay here. I enjoyed my stay at The Small Hotel, particularly liking layout of the hotel, good size rooms & spacious lounge area on each floor. Position is close to main town area, but is 1.5 kms from beach area although Moto (bike taxi ) & Tuk Tuk are readily available. Food I had from restaurant was good quality, although better value can be had from beach area where more competition is available. I have stayed here sevral times before and have never been disappointed the staff are fantastic they all have a good sence of humor and nothing is to much trouble for them. The food is great and rooms are comfortable and clean also away from the noise and bustle of the beach . I'm still here. I don't want to leave... I keep adding days. This is my 3rd trip to Sihanoukville in the past year. I've stayed in 5-6 different budget hotels (mostly near the beach) and this is by far the cleanest. The furniture is nice and not worn out like most budget places. The bed is soooo comfortable (with 4 pillows!). The room also has a DVD player with a library of DVD's downstairs (free) on the days or nights that it is raining or you just want to watch something before bed. The food is fantastic downstairs in their little restaurant. Get the Lok Lak. Delicious! The internet is as fast as what I have in the USA and it hasn't gone down on me once (very important because I work on my laptop). The staff is very friendly, accommodating and they all speak excellent English. They have plenty of motorbikes to rent. The hotel is on a side road in downtown. I actually walked to the beach once (took 30 minutes). It was a nice stroll thru downtown, but now I just rent a motorbike. I won't say what I am spending per night, but it's lower than any other place I can find with A/C on Agoda and it is an excellent value. HIGHLY RECOMMENDED. Room was very nice and comfortable for this price. There is a lot of additional services in hotel. If you ask staff, they can arrange bus and boat tickets for you without overcharging (Funny, but it's more cheaper to buy bus ticket in hotel than buy it in a bus station), they can extend your Cambodian visa up to 1 year, they can help you get a Cambodian driver license. Also there is laundry with reasonable prices and motorbike rental services. Downstairs have a bar and restaurant with varied Western/Norwegian/Khmer food and drinks (But sad that they no have Russian food). Most of motorbike taxi drivers in the city know name of this hotel (You can just ask them go to "The Small Hotel"). Apart from the unappealing location, in Sihanoukville town and far from the beaches, this hotel is just perfect! 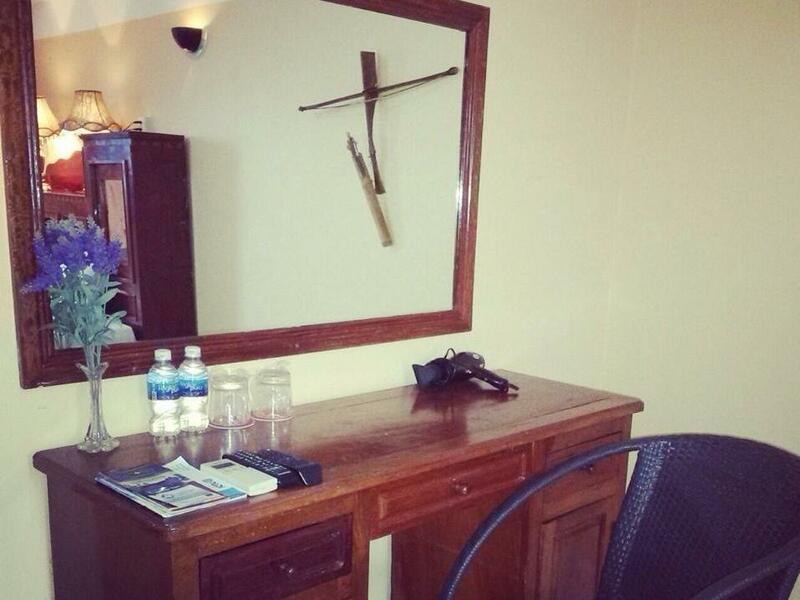 The rooms are well appointed (stocked fridge, aircon, satellite TV, hot water...) and very clean. The Swedish management is a plus.The food is good. Wifi works well. It's a shame this little jewel is located far from the sea, but I was told it provides free shuttle service to Indipendence beach, which is convenient. The staff are professional, polite and helpful. The Swedish owner and his wife are doing a great job. The room old and need to renovation. My room around 9pm the Airconditioner was not cool. And I went down request to change the room for me. But the staff say no room available to change please me to stay his room till tomorrow they will ask Maintenance come to fix, and I was paid full with Airconditioner and ask me to stay with hot room. When I big complaint there and they give me a small room. Room is neat and tidy with basic needs for a short stay in central area. Cheap price for local foods within walking distance near the hotel. This place is not worth for the price you’ll pay for a room. The hotel is situated in the centre of the town but far away from the beaches ... so you need to rent a scooter or take a tuk tuk. If you rent the scooter directly from the small hotel the price is 6 dollar per day. The Small Hotel is in the city centre of Sihanoukville, which is 5min away with the tuktuk from all the touristic happening at the beach. The staff is very friendly and always willing to help you! Our room was good. We ate two times there en the food is delicious! Def a great place! Nice and welcoming place. Good bed with pillow options and clean sheets. Clean bathroom and hot shower. Room also had tv and a minibar. The restaurant downstairs serves good food. Daily roomservice and very helpfull staff. Price is ok, service is okay.first night we found lots of ants in bed on bathroom. Then found there is ant nest in bathroom! Very disgusting. Second night there r 7 mosquito s in the room and my husband fighted the whole night with them. Remember, if you rent a moto from the hotel, each time ONLY buy 0.5-1dollar as the minimum, because they won't pay you back for the gasoline left when you return it. nice clean rooms, really god food (try the fried mango with shrimps), lots of people who come every year one feels at home very quickly in this lovely atmosphere - and an additional plus -it´s not a big foreign investor who gets the money but a private owner who cares about his personell and his guests. Big thanks to Henrik, his wife and staff for making our stay so pleasant.